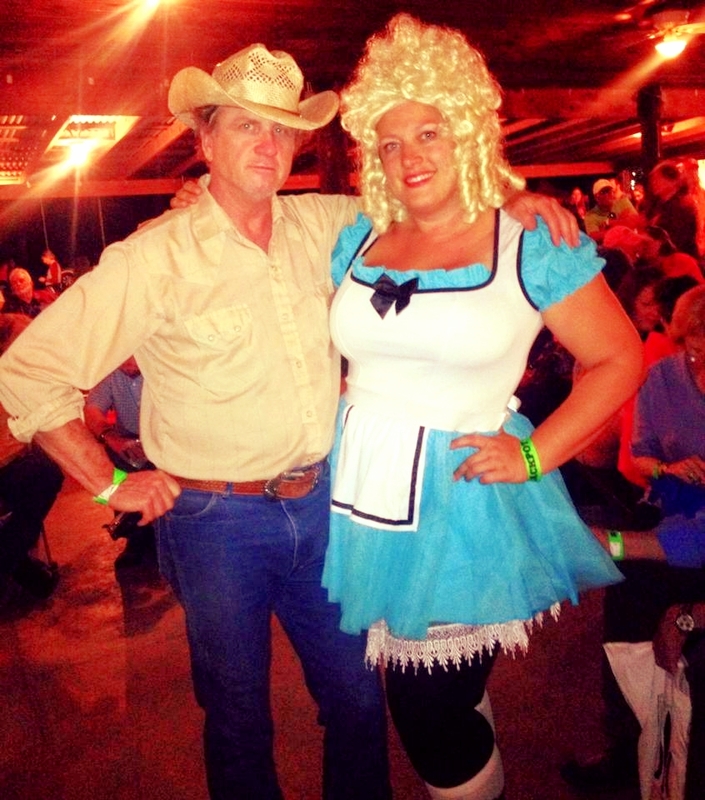 First Place Winners of the Invite Only Texas Two-Step Competition at the legendary Gruene Hall in Gruene, Texas while filming ABC's Bachelorette Season 11, airing May 2015. Zydeco and two-steppin' at the White Horse in Austin, Texas. Gumbo Ce Soir! 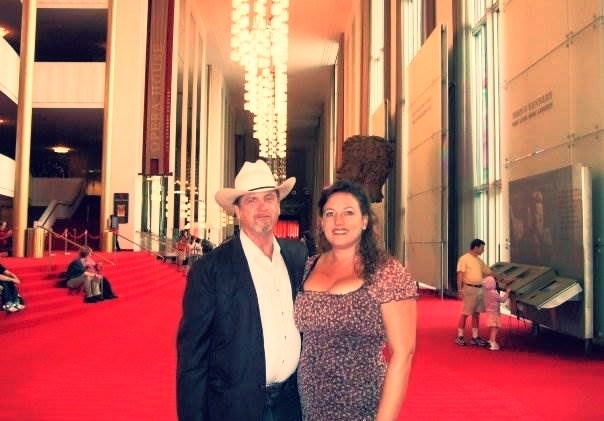 Performing with Austin's beloved singer songwriter, James Hand at the Kennedy Center for Performing Arts in Washington D.C.
Beth and Marlon have been dancin' Austin and Louisiana as partners and friends for over ten years. 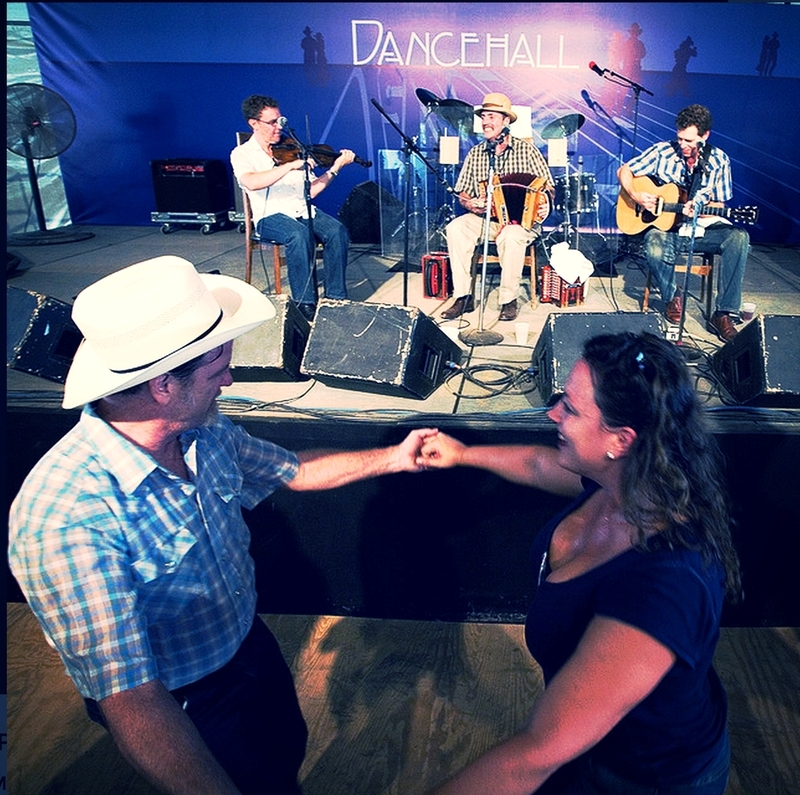 They have taught hundreds of people how to dance and to appreciate the Live Music Capital of the World, Austin, Texas. They are celebrated by professional dancers, musicians and educators as experts, and have performed, and given lecture demonstrations for music and culture research at the Smithsonian Institution, University of Texas at Austin, and the Kennedy Center for Performing Arts. They are known as great dancers, performers, and teachers from Austin to Lafayette. Beth Coffey earned her Masters Degree in Organizational Leadership and Ethics from St. Edwards University. She brings these skills with her experience in theater, acting, and dancing to every lesson and performance. Marlon McAllister earned his Masters in English Language Learning. He toured nationally as a dancer with Ray Benson in, "A Ride with Bob" a play about Texas fiddler Bob Wills. With 25 years of dance experience, Marlon has the most dancehall miles of any honky-tonker in Austin. They have appeared in several films and music videos. Check it out here. First place winners for Texas Two-Step Competition at the Chili Cold Blood Band Chili Cook-off on South Congress Avenue in Austin, Texas. Beth and Marlon's specialty is being able to teach dancers who have all levels of technical ability, especially beginners. Team-building and entertainment for business and civic enterprises. We have had the honor to teach the Austin Police Department to Cotton-eyed Joe. We understand Texas history and culture. We offer social events, dance exhibitions, and team-building for public, private, and educational institutions. Get personal. We teach individuals and couples. Beginners and advanced, and we do outreach to senior citizens. Go beyond the dance floor. As ambassadors to Texas and Louisiana we offer a knowledgeable cultural experience, including specific cuisine and language of the region. Chow down on cuisine as part of your dance lesson experience. Get outside the classroom. We can help visitors and locals with guided tours to legendary Austin bars, including the White Horse, Broken Spoke, Don's Depot, to name a few. Private and public demonstrations. We can perform at your wedding, celebration of life, charity events, or induction ceremonies. Austin to Lafayette: Introduction to Zydeco. SIX WEEKS. SIX DANCES. ONGOING THROUGH 2016. Austin to Lafayette: A Guide to Texas and Louisiana Dance Culture, Six Dances in Six Weeks. Our spring class is a wrap. Coming again next Fall. Say hello or email us at howdy@dancinaustin.com.